The SCC, in partnership with Rab, Petzl, Metolius and Scarpa are excited to introduce the Conservation Legacy Program. Those individuals who join the Conservation Legacy program firmly believe in the mission of the SCC to preserve climbing areas for future generations and have the income to turn that belief into an annual donation that is specifically earmarked for conservation acquisitions and stewardship. The Conservation Legacy program is built upon the foundation that the SCC saves special places, places specifically for rock climbers. Conservation Legacy donors will know that their donation goes toward preserving those special places into perpetuity. 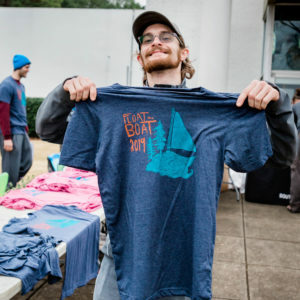 An annual donation to the Conservation Legacy program literally and physically changes the landscape of the southeastern climbing community for the better. This donation can be set up in monthly payments. Our goal is to find to 20 climbers a year willing to join the Conservation Legacy program at a $500, $1000, $1500 + giving level. Thanks to a special partnership with Rab, Petzl, Metolius and Scarpa each Conservation Legacy donor will have the option to choose which level they wish to donate and receive the benefits according to that level. Donors will be recognized in the SCC’s annual report, on a special page on the SCC website, and in the kiosk at the SCC newest acquisitions.